Under this ideology, corporations may dictate their own religious rules to employees and customers — under threat of taking away jobs or refusing service. Corporations become the main form of governance over people. Here is where it gets very strange. In the mind of Neil Gorsuch, the government may not ask, and corporations cannot be required to tell the government about religious beliefs. According to a recent legal argument that Neil Gorsuch accepts, it is “sinful” for an organization to tell the government that something is sinful because telling the government would “trigger” the government to engage in sin. The government should know automatically — magically — and assume corporations are exempt from any and every law that could possibly be religiously objectionable. This is about as logical as the worst partisan memes on Twitter, but it passes as legal analysis for Neil Gorsuch and quite a few other Republicans on federal courts. All of the individual legal rules necessary to arrive at this end game of corporate theocracy are already in place or underway. When combined, the recent 5-4 rulings in Supreme Court cases Hobby Lobby and Citizens United plus a ruling that would please Neil Gorsuch in the pending case Little Sisters (aka Zubik) equals corporate theocracy. First, in the notorious case of Hobby Lobby, a privately held business corporation was granted Constitutional religious rights. Because the owners of the company claimed a religious view, the company was exempted from providing mandated health benefits to its employees. A polarized 5-4 Supreme Court decided the case, upholding a Neil Gorsuch decision. Details are in an earlier report. See Scalia Cut Religious Rights of People, Neil Gorsuch Added Religious Rights of Corporations for more Hobby Lobby coverage. Second, the infamous 5-4 Supreme Court case Citizens United stands for the principle that corporations have First Amendment free speech rights, often called “corporate personhood.” With these rights, corporations may spend unlimited amounts of money on campaign “electioneering.” Religious rights are also in the First Amendment. The third case — Little Sisters — is in the courts now. This case has been around long enough to show the hand of Neil Gorsuch. 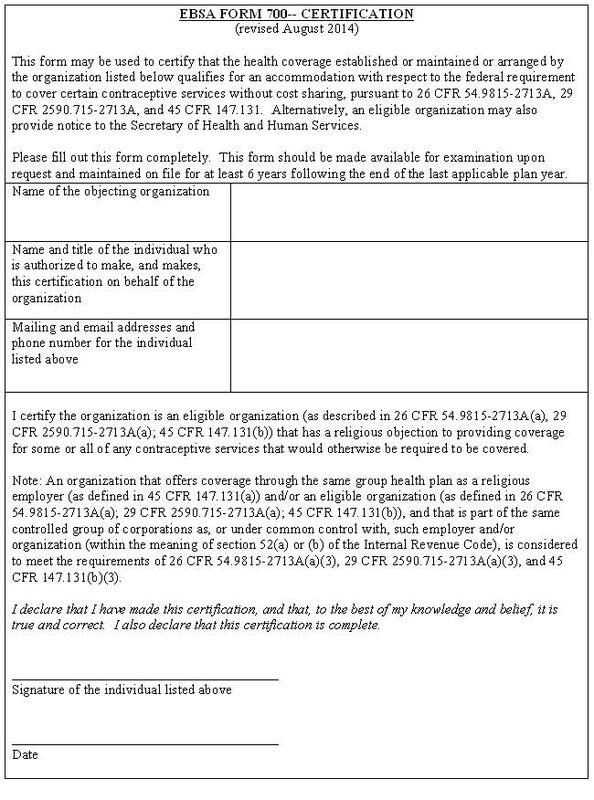 Little Sisters of the Poor and others including religious universities (“the organizations”) sued the government to object to the exemption form. They argued that filling out a form to exempt them from the requirement makes them complicit in assisting the government to obtain coverage for the employees elsewhere. They also argued that filling out the accommodation form would be a “substantial burden” upon them. The organizations lost. The main basis for the court’s decision was the Religious Freedom Restoration Act (RFRA). RFRA was a noncontroversial act that was passed to protect the religious practices of people who “ingested peyote for sacramental purposes.” Over time, RFRA application strayed far from its original purpose. Since the 2010 Citizens United case granted Constitutional personhood to corporations, the RFRA law has been applied to corporations. The organizations also tried to argue First Amendment free exercise of religion and freedom of speech. They lost on those issues too. Fortunately, the doctrine of the panel majority will not long survive. Neil Gorsuch expects this ruling to be overturned. He seems to know something about the future. The appeals court looked at many precedents. The decision is loaded with them. Neil Gorsuch supposedly believes they are all wrong. No “significant penalty was imposed.” The penalty was avoided by filing the simple form. Neil Gorsuch conflates the “burden” — filing the simple form — with the “penalty” — a fine that was avoided. … (however strange, or even silly, the court may consider those beliefs). A “strange, or even silly” religious belief could be literally anything — giving organizations unlimited power to be exempt from laws. The Little Sisters case was appealed to the Supreme Court. It was consolidated with other cases and became Zubik v. Burwell. The evenly divided 4-4 Supreme Court fooled around with changing the question, then suddenly decided to send the case back down to the lower courts on a side issue. It never decided the ultimate questions. The case may return to the Supreme Court again. Neil Gorsuch may be on the bench by then. Using simple logic, the combined effects of the three cases Hobby Lobby, Citizens United, and Little Sisters, would place all corporations above the law. If Neil Gorsuch ultimately casts a deciding vote at the Supreme Court on the Little Sisters case, or on another similar case, all these three things would follow. From Hobby Lobby, privately held profit corporations have religious rights. From Little Sisters, nonprofit organizations have religious rights. From Citizens United, publicly held corporations have First Amendment rights. The First Amendment includes religious rights. Therefore, publicly-held corporations must also have religious rights. Corporations have the right to be exempt from laws affecting religion. The set of possible “strange, or even silly” religious beliefs is unpredictable and unlimited. Therefore, corporations are exempt from any law they choose. THIRD, corporations would have the ability to immediately and totally ignore any law without notice to anyone, under Little Sisters. 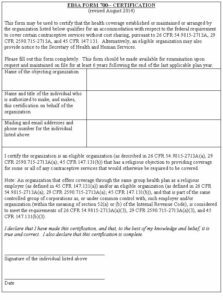 A corporation may claim religious exemption from completing an exemption form. Corporations may simply ignore laws without providing any notice. FOURTH, over time, corporate theocracy would be enforced through economics. There are fewer employers than workers. Some percentage of the population is unemployed. People need work to earn income and provide for needs. The above three factors give employers more bargaining power than employees. Consolidation of industry has reduced the number of employers over time. Technology has reduced the number of jobs over time. Labor participation rate has been dropping. Choices of employment opportunities have dropped over time. Employers continue to gain more bargaining power over employees. Increasingly, workers need to take jobs where employers have chosen to exempt themselves from regulations. Companies like Hobby Lobby may use bargaining power to require that employees follow ever-increasing religious doctrine. The first three of these items would happen immediately by simply combining the three cases. Nothing more is needed. The economic effects of the fourth one would occur over time. Both the Hobby Lobby and Little Sisters cases are based mainly upon the Religious Freedom Restoration Act (RFRA). They are not primarily based upon the Constitution itself. Modifying the RFRA law to take out unintended corporate personhood protection may go a long way to prevent or reverse the corporate theocracy in these cases. However, it would not prevent the general trend. By showing his hand with the Little Sisters case, Neil Gorsuch has made it clear that he will do whatever he can to create corporate theocracy. Nevertheless, Neil Gorsuch accepted the nomination. Despite the notion that he is a “conservative” and an “originalist,” the fact that he would accept such a nomination under these circumstances indicates that he has no problem with “judicial activism” where the ends justify the means. Neil Gorsuch is not fit to sit on the Supreme Court.